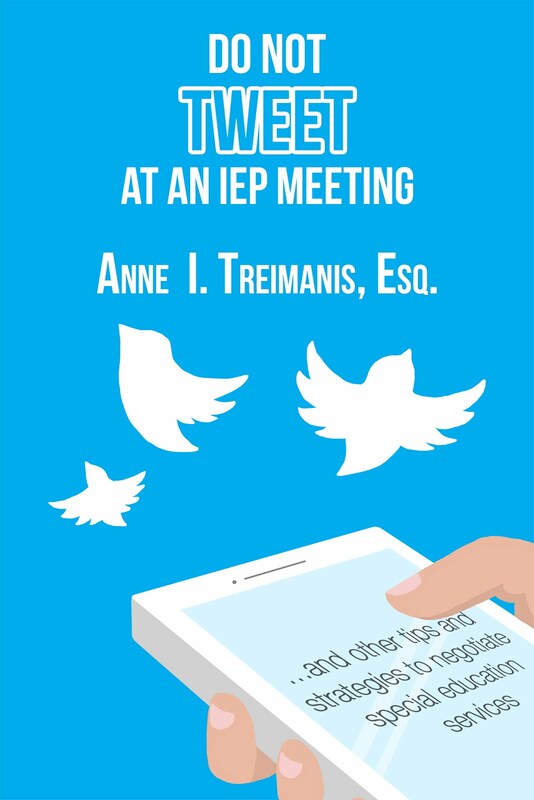 These are a few tips from my latest book, "Do Not Tweet at an IEP Meeting." Tips to prepare for Mediation – these are the tips I give my clients in Connecticut. Find out what the differences might be in your state. 1. Bring the student’s file. But more importantly, make sure it is organized to the point where you pull out quickly whatever it is that you are looking for. When you fumble for papers, it's distracting and an inefficient use of time. Try to predict what you will need and have it handy. 2. Court room appearance is not necessary, but don't be too casually dressed. 3. Bring water, food, and snacks. In the worst case scenario, we will be trapped in a room until 6pm with no refreshments and there will not be a lunch break. Some districts will provide coffee, water, and a few snacks, but you cannot count on this. Most mediations end by 4 at the latest. The mediator may leave us for a few minutes and return, or 2 hours and return - as h/she goes back and forth between rooms. There is no way to predict when h/she returns so we need to always stay put. 4. I always bring something to share with the mediator and often they are thrilled to accept. But they don't want to feel like they are taking "your stuff." So, if you have ice tea, then you must have 3 bottles so it's clear to see that there is extra. Or if you have snacks, there must be a large amount so it's clear you couldn't possibly eat that much. 5. Bring copies of any invoices that you hope to get reimbursed for. If there are several expenses, write them all out on a spread sheet. 6. Bring a real calculator; do not depend on the calculator feature of your iPhone. Bring pens and pads of paper. 7. The mediator may begin by having the parties together and allowing each side to give an opening statement. If h/she doesn't want an opening statement, h/she might ask us to simply state the issues, and then ask the other side to restate what they heard. Then h/she will separate the Board and the family into different rooms. Or h/she may keep us separate from the very beginning. We need to be prepared for each scenario. 8. Mediation depends not only on the law, but on relationships. 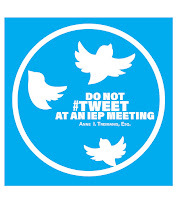 While we do not have to compromise the student's rights, we need to keep positive, professional, and pleasant. 9. The mediator will need help staying on top of facts, as will the Board and the student's team. The family has been living the case day and night, and all the facts and issues are ready to spill out. But everyone else in the room is a professional, with other clients. While I expect that the professionals will be fully prepared, it's helpful to have a list of key points at our fingertips. Each mediator comes to the table with different levels of skill and different levels of preparation. In the past, I have prepared outlines of the issues, timelines, or lists of facts for the mediator and offered to give it to him/her if h/she wants to accept it. Usually the mediators are appreciative. 10. 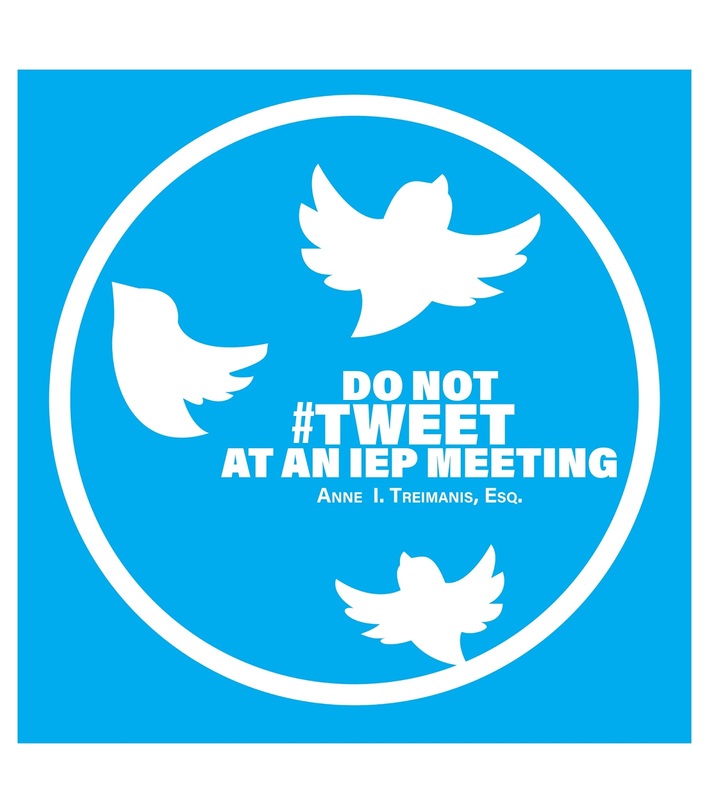 Bring a laptop or iPad in case we want to quickly research something. My laptop and iPad have a Verizon card in it and it works wherever there is cell service. 11. Make sure that you don’t have appointments or childcare issues so you do not have to worry and stare at the clock. But do wear a watch in case there is no clock in the room and you are wondering about the time. 12. Bring Tylenol or Advil or whatever you need for headaches and stress. Stay hydrated. One would think that these points are self-evident, but nevertheless, a useful, handy list. I would add, given my own experience, that any oral discussion with one's own attorney should never occur inside the mediation room.